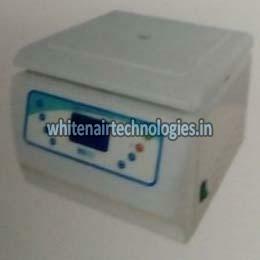 We are one of the eminent Manufacturers and Suppliers of Low Speed Refrigerated Centrifuge. Our entire range is renowned for features like robust structure, high sensitivity, accuracy, durability and long shelf life. Produced using premium raw materials under the supervision of highly experienced personnel; our Low Speed Refrigerated Centrifuge guarantee optimum functionality.